The Toyota Prius is a hybrid liftback that's become the poster child for fuel-efficient cars. 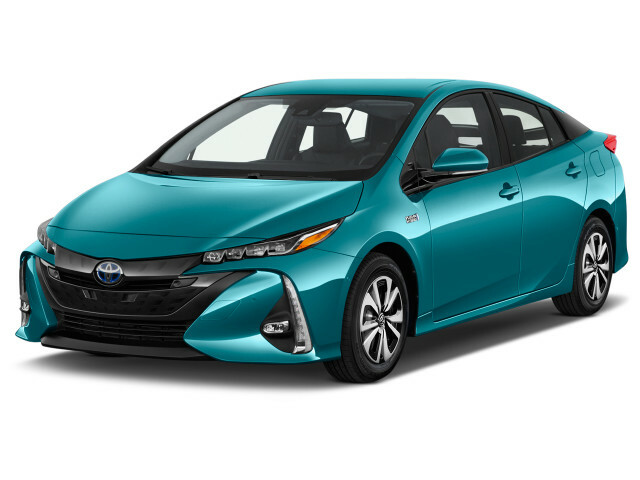 The newest Prius bowed in 2016 and carried on as the most fuel-efficient vehicle without a plug sold in the U.S. With the Prius, Toyota offers a 52 mpg-combined EPA rating on most models, with the Prius Two Eco version notching an impressive 56-mpg combined rating. In 2019, the Prius finally added an all-wheel-drive version to its lineup, called AWD-e. The system provides traction to the rear wheels at low speeds, and the all-wheel-drive Prius is rated by the EPA at 50 mpg combined.. The latest fourth-generation Prius went on sale in January 2016. While it is longer and lower, its looks have become more baroque—to the degree that it makes the superseded third-generation car look almost sedate. It has a much nicer interior and drives far better, with less anguished howl from the engine under power and handling that makes it almost seem like a normal vehicle. But in an era of $2 gasoline, Toyota adjusted its sales projections downward, despite the latest Prius being a far better and more enjoyable car than its predecessors. The same basic formula hasn't changed: it's an inline-4 married to a battery pack (mostly lithium-ion this time around) although it's rated at 121 hp, down from the previous generation. That number may not matter as much as "52," it's combined mpg estimate from the EPA, which is still more efficient than most other cars on the road. For 2017, the Prius added more standard safety features, including forward collision warning with automatic emergency braking, adaptive cruise control, automatic high beams, and active lane control. A plug-in version, called Prius Prime, was added and could run up to 22 miles on electricity alone. Since 2004, the distinctive Prius shape has been a highly aerodynamic, high-roofed, five-door, mid-size hatchback. But that's not how the Prius legend began. The very first Prius, launched in Japan in 1997, was a subcompact four-door sedan, and the first vehicle to feature Toyota's hybrid system. That original Prius came to the U.S. for the 2000 model year, in a revised and marginally less anemic version. It wasn't the first hybrid on sale in the U.S. (the original Honda Insight beat it by a few months), but the Prius has endured and grown. Toyota is by far the world's preeminent builder of hybrids, with roughly 7 million sold globally. Fifteen years later, the expanding Prius lineup remains both the technology flagship for the Toyota brand and a bogey for hybrid vehicles. The second-generation (2004-2009) Prius rocked the world when it was launched, moving up beyond compact size and adopting a radically aerodynamic and unique five-door hatchback body style that continues to this day. The second- and third-generation Prius models both offer a surprising amount of interior space—enough for four adults comfortably, or five in a pinch—along with good cargo space easily accessed through the wide-opening hatch. A third-generation Prius was launched for the 2010 model year. It was instantly recognizable, sharing many styling cues with the second-generation vehicle. That model had a lighter, stiffer body; improved battery management; better aerodynamics; and a slightly larger (1.8- instead of 1.6-liter) inline-4, giving it better acceleration under high power demands. It also continued the Prius's steady march up the efficiency charts, hitting the magic 50-mpg rating. The third-generation Prius gave drivers more confidence in everyday commuting, with 0-to-60-mph times just below the 10-second mark, and highway cruising that felt a little more relaxed. That said, the Prius driving experience has always felt very detached and numb, with little feel in the steering or the brakes. It's "appliance driving" at its most evolved and efficient. At the heart of any Prius is Toyota's hybrid technology, which used a nickel-metal-hydride battery pack (most models switched over to lithium-ion for 2016 modes) that powers an electric motor-generator paired to a small 4-cylinder gasoline engine, with a second motor-generator serving to recapture otherwise wasted energy and use it to recharge the battery under regenerative braking. The complicated two-motor system uses a planetary gear set to split power flows among the two motors, the engine, and the final drive. It acts as an electronic continuously variable transmission—a configuration that continues today in the Prius. Standard safety features and advanced-safety-tech options were stepped up on the third-generation Prius—including a rearview camera, adaptive cruise control, a lane-departure warning system, and a "Safety Connect" system that automatically alerts emergency services in the event of a crash. Toyota's automated parking system could effectively steer a Prius into parking spots, aided by the car's cameras sensors, with the driver only needing to modulate the brake to control speed. Most reviewers feel a similar system offered by Ford is more intuitive and accurate. 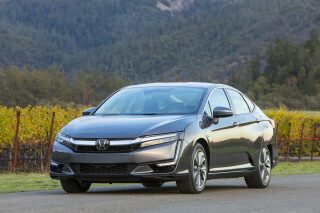 The iconic hybrid got some visual updates and additional features for the 2012 model year. The front end saw LED running lights added while the rear received a new taillight design. Interior changes were less appreciated, as the new "flying buttress" center console looks nice but takes away valuable room for the driver's inboard knee. Toyota did nothing to improve the quality of interior materials from the second generation, which would have been welcome, and the car's dynamics and powertrain were left untouched. Two new body styles joined the expanding Prius lineup for 2012. The Prius V wagon version has its own new body, a redesigned interior, and more space for both people and cargo. Its combined EPA fuel economy rating is 42 mpg, higher than any other wagon or crossover on the market at the time. 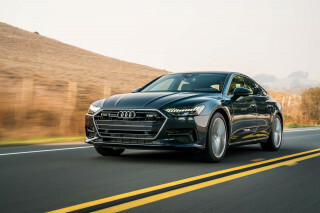 Because it's about 300 pounds heavier than the Prius liftback, however, with the same powertrain, it can feel slow and strained when heavily loaded on steep hills. Other features of the Prius V include a sliding second row of seats that include a 45-degree recline, a 60/40-split seat back, and 34 cubic feet of cargo space behind the rear seats. The compact Prius C—it's actually closer to a subcompact—shares the family name but is a radically different car than Toyota’s original hybrid. It's some 19 inches shorter, 2 inches narrower, and nearly two inches lower than the well-known Prius mid-size five-door hatchback. Nearly every Hybrid Synergy Drive component was redesigned, and the Prius C uses a smaller 1.5-liter engine, so it's about 500 pounds lighter than the Prius liftback. Fuel economy is the same combined 50 mpg as the larger Prius hatchback—although it's higher in the city at 53 mpg, and lower on the highway, at 47 mpg— the price falls to about $19,000. A plug-in version of the Prius hybrid went on sale in February 2012, representing the first plug-in version of Toyota's signature hybrid car. Within six months of its launch, the Prius Plug-In Hybrid had become the third best-selling plug-in car sold in the U.S., in part because it was the sole Prius eligible for the coveted single-occupancy use of carpool lanes on congested California freeways. Production ended early in 2015, but a new and longer-range Prius Prime took its place for the 2017 model year. I like everything about it but I do wish it had more conventional styling especially the dashboard. Wow, this is the best car you can buy today. It's not that I am inexperienced in terms of cars. I had Mercedes cars for more than 20 years. And an Audi. And several Volkswagen. And yes, I have a Porsche in my Garage. It's new (well, sort of). My Prius is... It's not that I am inexperienced in terms of cars. I had Mercedes cars for more than 20 years. And an Audi. And several Volkswagen. And yes, I have a Porsche in my Garage. It's new (well, sort of). My Prius is the best car I have ever had. The feel is beyond anything I have ever had. It's amazing. It is a new quality of safeness and reliability. I enjoy it a lot! My verdict is: If I can have the best car on the market, why should I go for anything else?